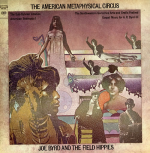 [engl] The American Metaphysical Circus is a 1969 psychedelic album by Joseph "Joe" Byrd. 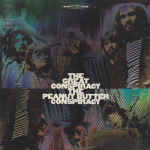 It was recorded after his departure from the band The United States of America, and featured some of the earliest recorded work in rock music utilizing extensive use of synthesizers and vocoder, along with an extended group of West Coast studio musicians Byrd named "The Field Hippies". The album is most noted for "The Sub-Sylvian Litanies", which opened Side A. This three-part suite has been described as "an entire acid trip in 11 minutes". 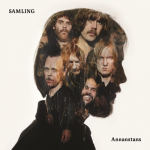 Other album highlights include the equally psychedelic "The Elephant at the Door", and the politically-charged "Invisible Man", written for and aimed squarely at President Lyndon B. Johnson. Two of the more unusual tracks on the record are "Mister Fourth of July" — a ragtime tune complete with scratchy 78RPM-style effects, and "Leisure World", featuring narration from long-time ABC voice-over and "Ghoulardi" originator Ernie Anderson in an ode to California's first retirement mega-community.